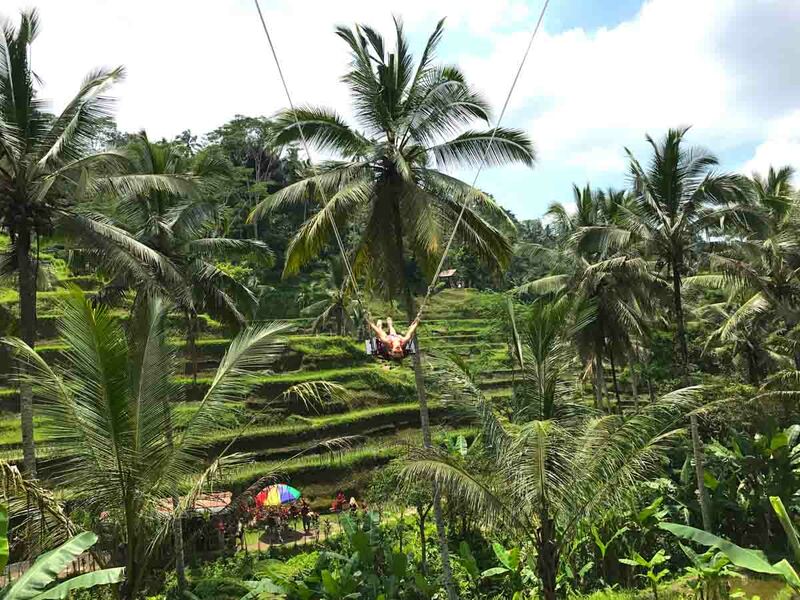 5D Adventurous Bali Itinerary: The Best of Bali for First-Timers – Ubud, Seminyak, Uluwatu, Nusa Dua, Bangli and beyond. 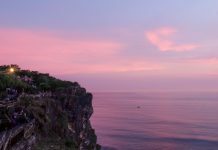 Relaxing on the beach and lounging in villas all day may be commonplace in short getaways to Bali, but the Island of the Gods has more to offer than that. 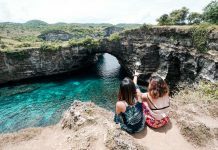 Meshing mainstream with off-the-beaten-track locations, this comprehensive Bali itinerary takes you through more than 5 towns for the adventurous who seek a little more. 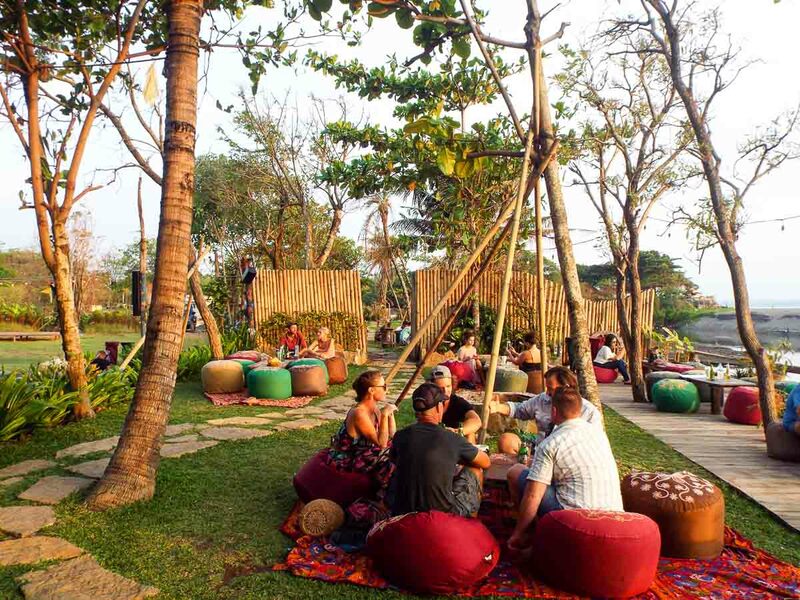 If you’re planning a repeat visit to Bali, chances are, you’re going to want to do more than going to typical hangouts like Potato Head Beach Club in Seminyak and Kuta Beach. By adding a good mix of nature, adventure and culture, you’ll be getting an entirely different experience from this beautiful island. 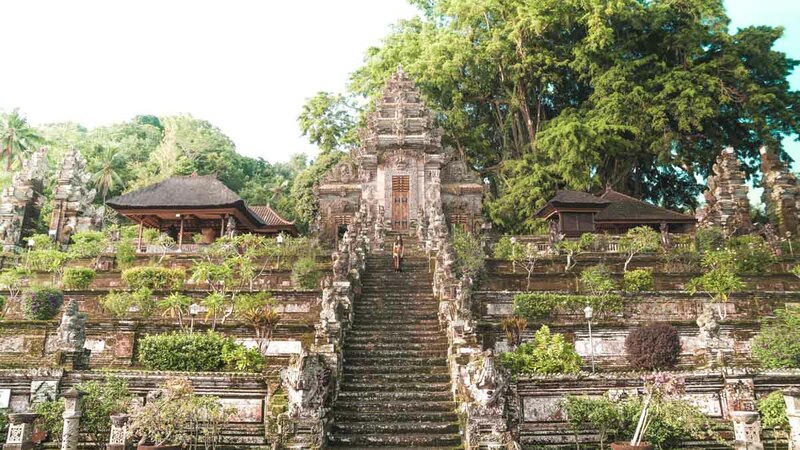 Best Time to Visit: Like Singapore, Bali is only dry, or wet. Visit in May, June and September when it’s dry, and not overly flooded with tourists. Average temperatures range from 29°C–32°C in the day, and drops to a cooling 22°C–23°C at night. Packing Essentials: Pack sunscreen and aloe vera gel to prevent sunburns, or purchase them at Bali’s Ngurah Rai International Airport if you’re not checking in baggage. With an array of water sports and hikes almost everywhere, don’t forget your swimwear and sturdy shoes too. Getting Around: With key attractions scattered around, renting a private driver by the day is comfortable, efficient and affordable. We booked ours through Klook that provided us a cushy SUV, and a friendly driver to boot! Services like Uber or GoJek are available too, but note that many areas do not accept such bookings. Connectivity: You can purchase SIM cards from the airport, or prebook a 5GB Data SIM card (valid for 30 days) and have it personally delivered to you at the arrival point. 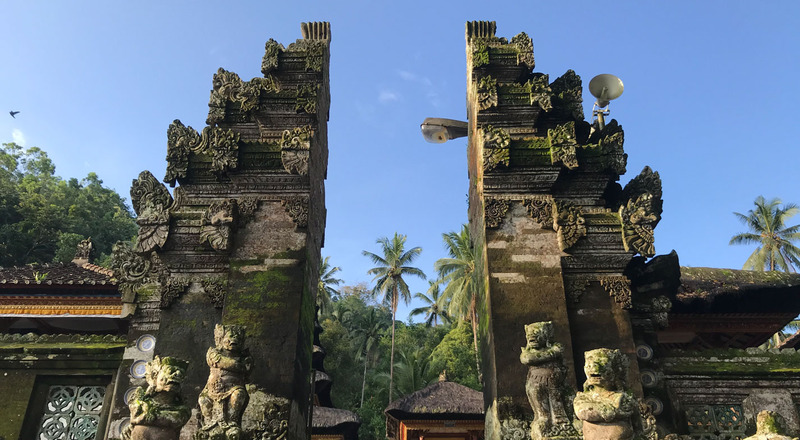 Accommodation: To get the best experience out of your trip, book your accommodation in either Seminyak or Ubud depending on your tastes – Seminyak if you don’t mind the crowd, or Ubud for a quieter environment. 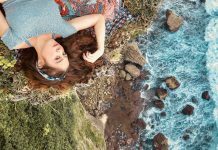 These places are relatively central to most attractions, and are ideal when it comes to getting the most out of your vacation. 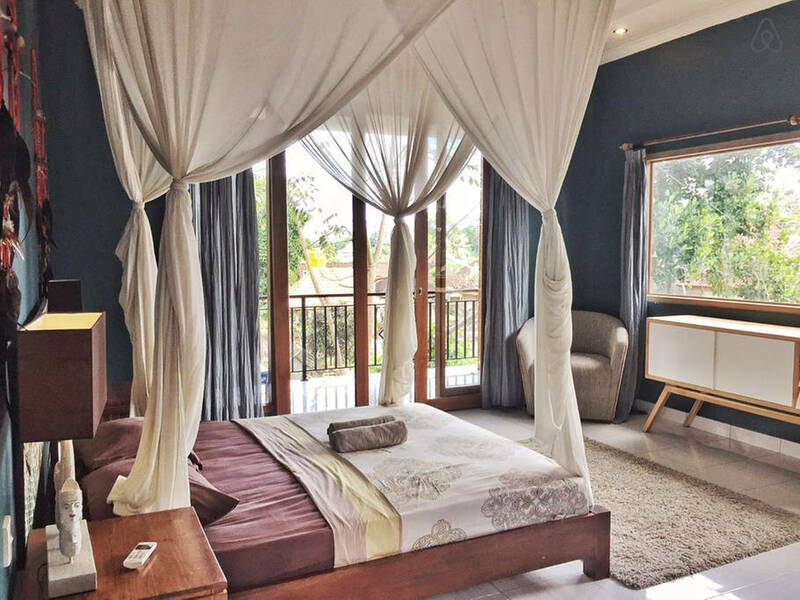 For groups of friends, villas on Airbnb come at extremely affordable prices for the quality you get. Most villas come with a private pool and butler to serve your needs. 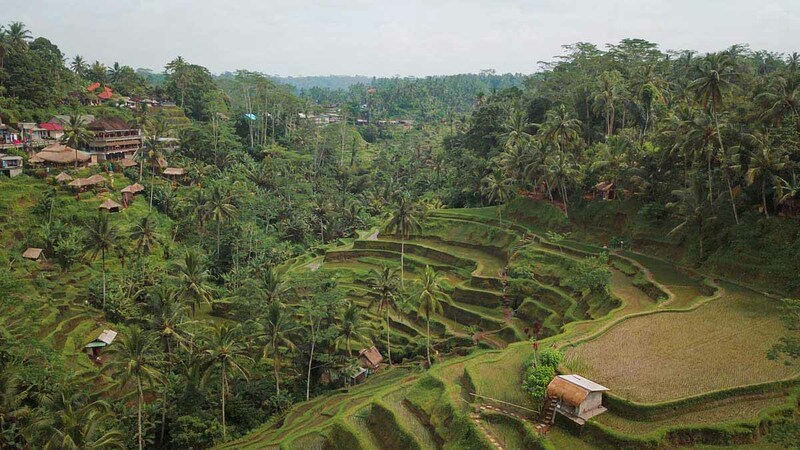 We booked ours in Ubud, making it relatively accessible to attractions in this itinerary. For solo travellers, the Seminyak area has lots of hostel and home stays for around US$10/night. Start your holiday on a fresh day by catching a morning flight. We flew in via the 7:05AM Jetstar flight and landed at 9:55AM. Since accommodation check-ins are usually after 2PM, make use of the early head start and get exploring, pronto! Arrange for a car to pick you up directly from the airport so you won’t have to worry about lugging everything with you. Before your first stop, you might want to change your attire as this will definitely get you soaked! Traverse across gargantuan rocks and uneven walls that literally leave you on the edge in this elusive canyon. 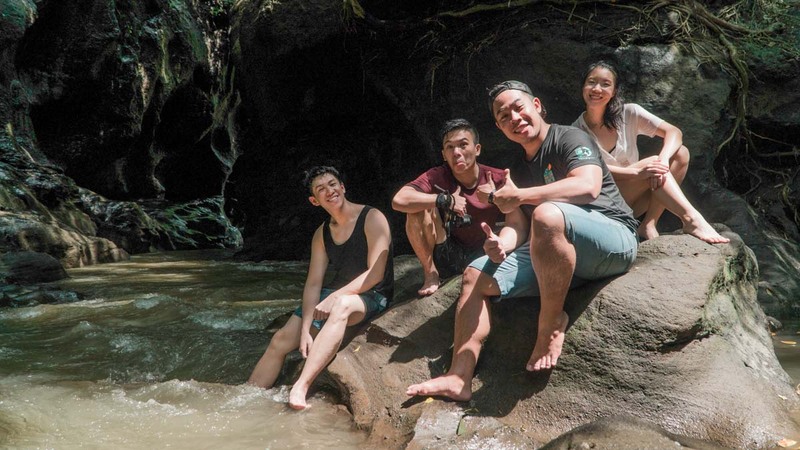 For at least 2 hours, you’ll be climbing, jumping, and occasionally lunging across strong currents in waters that can go up your neck – not without a guide to ensure your safety, of course! The area closes during high tides for safety reasons, so call to check before heading down. *Pro-tip: Bring along booties or you’ll be asked to go barefoot (the guides will carry your footwear). 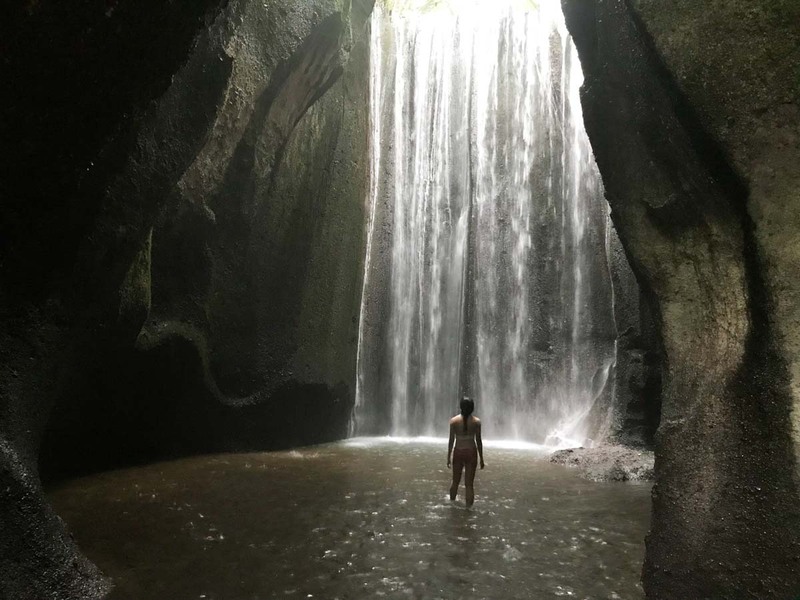 In the outskirts of Ubud in Sukawati lies one of the most famous waterfalls around Bali, and also one of the most beautiful. Although it’s a popular tourist spot, the vast area has ample vantage points to have a good look without being distracted by the crowd. This waterfall is also known by another name — Blangsinga Waterfall. Its name depends on which side of the waterfall you end up at! We found that the view from Blangsinga’s side was better; get there by walking towards the right until you reach the waterfall. *Pro-tip: If you’re a drone enthusiast, you’re free to bring yours along to capture the majestic view in its entirety! 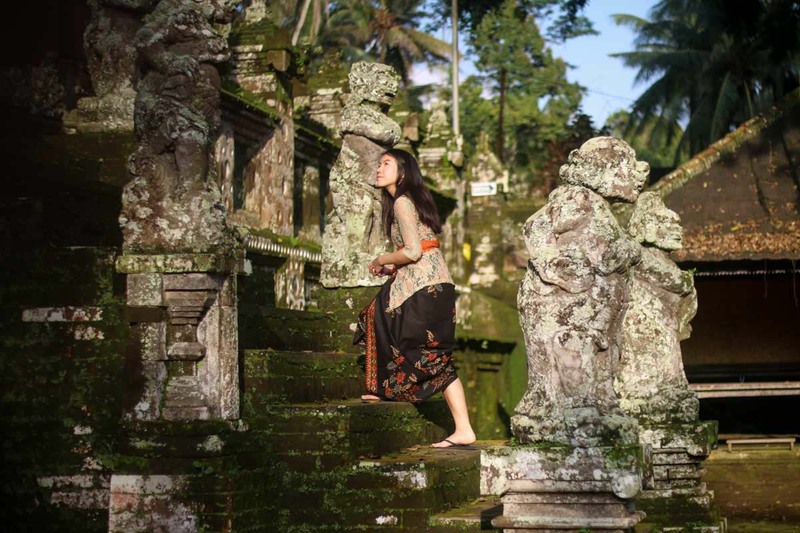 Famous for its appearance in 2010 film Eat Pray Love, shop for an array of handicraft and souvenirs from the Ubud Market, and its sister Ubud Traditional Art Market. 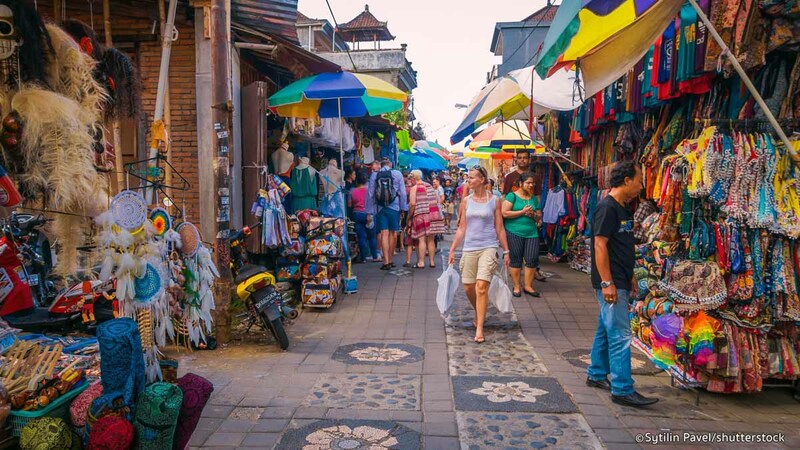 Purchase traditional sarongs, woven straw bags and exotic monk bags, or simply stroll through the open-air street to soak in the atmosphere. *Pro-tip: Go during the opening times or right before they close to get the best bargains. Superstitious stallholders are more inclined to give discounts to first customers to “bless” the rest of the day with good business, and right before they close to simply clinch a quick deal before the day ends. 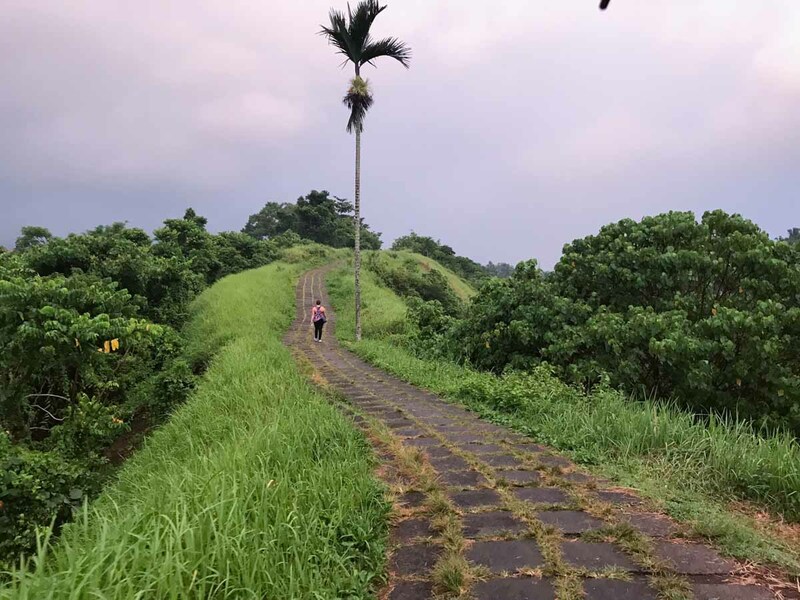 There’s no distinctly marked entrance to the Campuhan Ridge Walk, so we would advise having your driver know where to drop you off (near a sign for “Warwick Ibah Hotel”), after which you will see a small sign pointing you towards the direction of the walk. Further downslope, you will see another similar sign (image above), where you will have to head down an obscure staircase to the right instead of walking straight. We made the mistake of heading straight as the arrow wasn’t very visible. 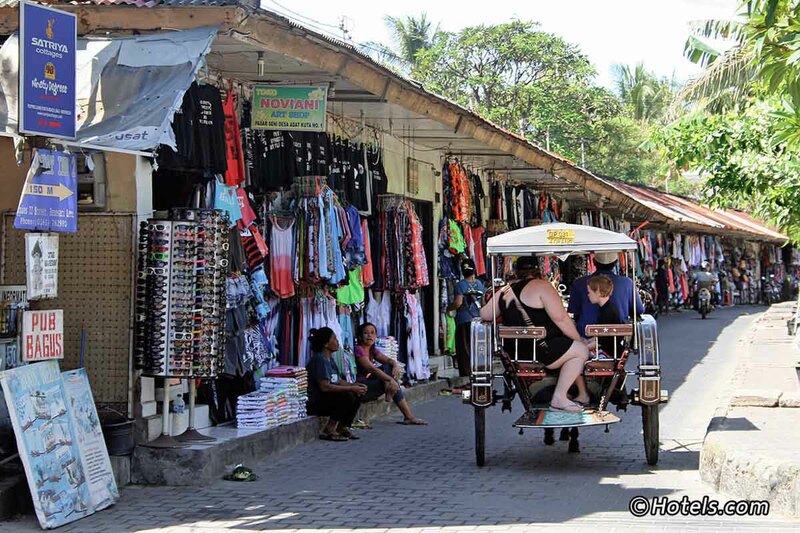 How to get there: Start from Ubud Market facing Jalan Ubud Raya, and head west until you see a bridge. Before the bridge, you will see a sign for “Warwick Ibah Hotel” to the right. *Pro-tip: Carry a torchlight with you in case it gets too dark on the way down, as there are no street lamps lining the path. It starts getting dark after 6PM. 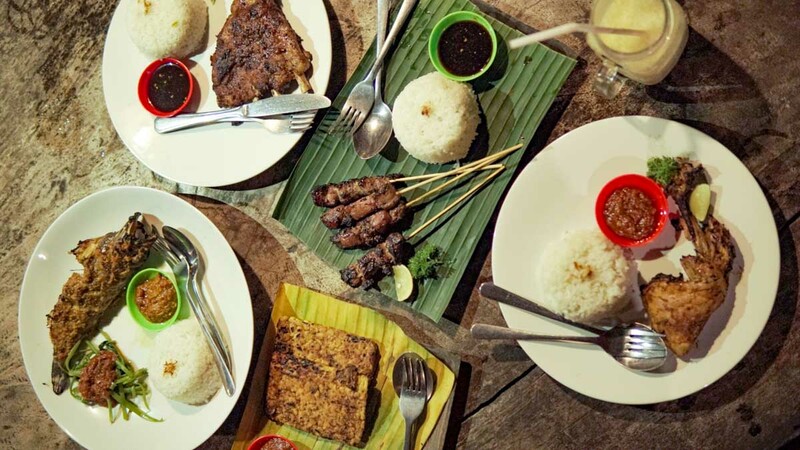 For affordable local fare, dig in to the smokey Ayam Bakar, grilled chicken leg with rice (17,000Rp, ~S$1.70), or Iga Bakar, grilled pork ribs with rice (25,000Rp, ~S$2.50) alongside Bali’s local Bintang beer at Kedai D’Sawah. 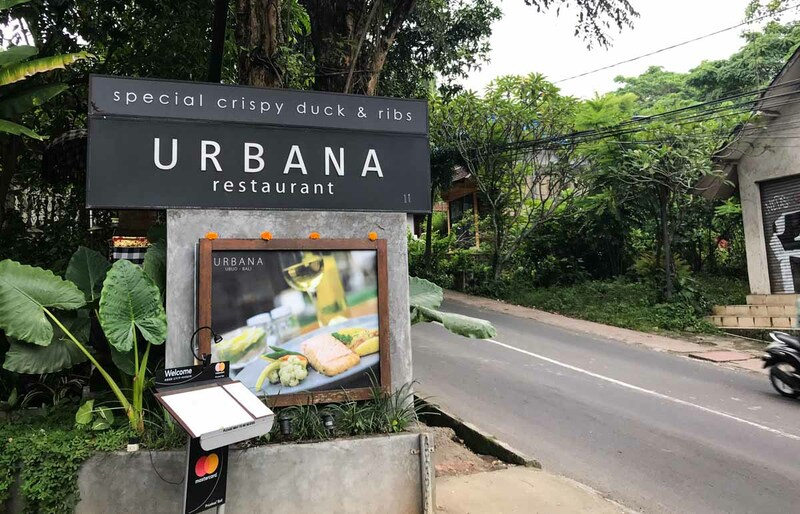 As with many eateries, or warungs in Bali, this one sits right beside a paddy field, so it’d make a great lunch spot too. Do prepare some insect repellant though; the mosquitoes can be unforgiving. 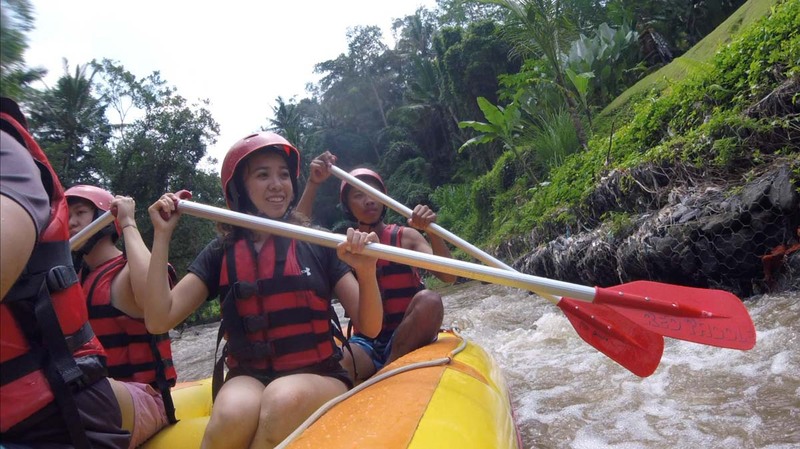 Dive deep into adventure by rafting along the Ayung River and be awed by the sights of magnificent waterfalls (the cheeky guides might even lead you right under them! ), rock formations and gorgeous gorges. There are many rafting companies along the same river, but we went with the one by Red Paddles that comes with a package inclusive of a buffet lunch, as well as a pick-up and drop-off from our accommodation. For an activity that lasts at least 3 hours long, we’d say this one is definitely value for money! 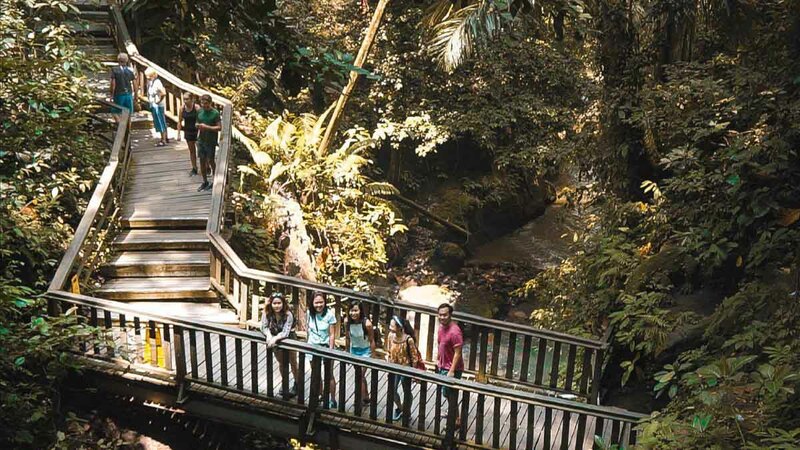 Another sight to behold, the Tekud Cepong waterfall draws less of a crowd than its mainstream counterpart (the Tegenungan Waterfall), but with the same charm. 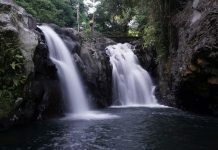 An hour away from Central Ubud in Bangli, the waterfall is nestled in a cave that’s a 5-minute walk from the entrance. As a mark of respect, women who are menstruating are advised not to enter, and you should refrain from using foul language while you’re in the premises. Otherwise, enjoy the steep hike down and prepare to get wet in the clear running waters! *Pro-tip: Get the best viewing experience when you visit in the early morning or afternoon, so that the sun rays penetrate through the overhead canopies. Avoid visiting after 5pm as the area might become too dark for photos. 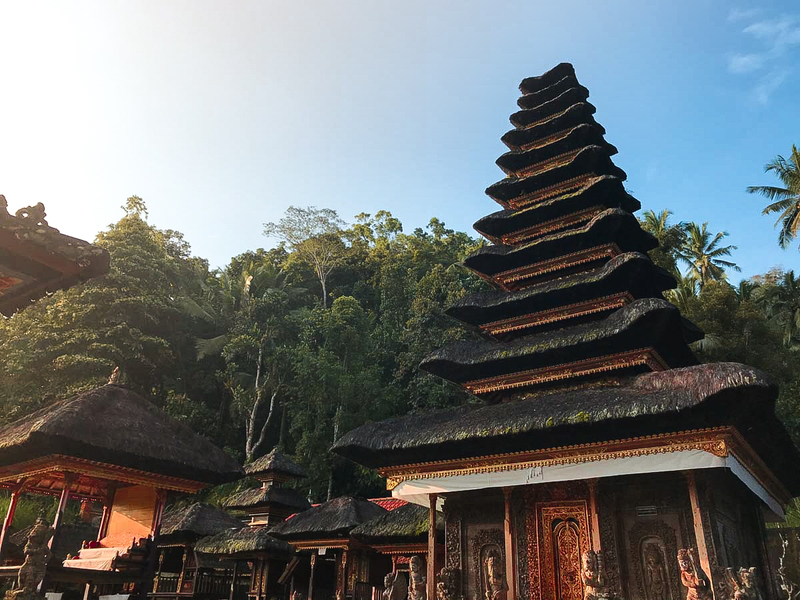 Built in the 12th century, this Hindu temple exhibits the elegance of traditional Balinese architecture that has since been well-maintained, and doesn’t draw a massive touristy crowd to ruin its enchantment. Visitors are required to don a sarong as a form of respect, but don’t worry if you don’t have one as you can rent one for free over the counter. 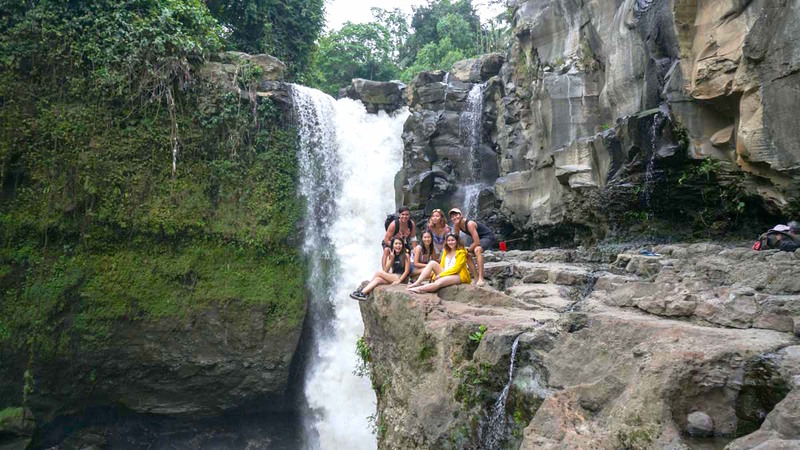 Similar to the Tekud Cepong Waterfall, menstruating women should avoid entering the premises. 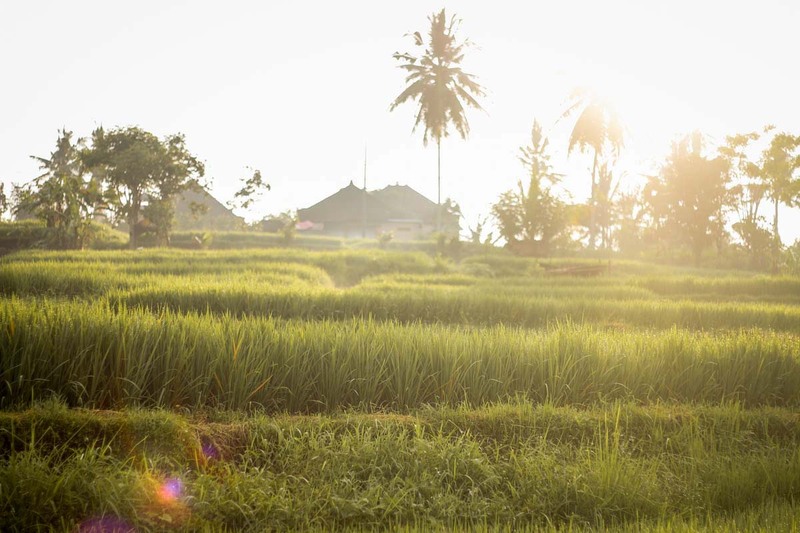 They are ubiquitous across Bali, but do not miss out on the mother of all rice terraces at the panoramic Tegallalang Rice Terraces. Although it’s a touristy spot, this UNESCO World Heritage Site is large enough for you to have ample personal space with undisturbed views. 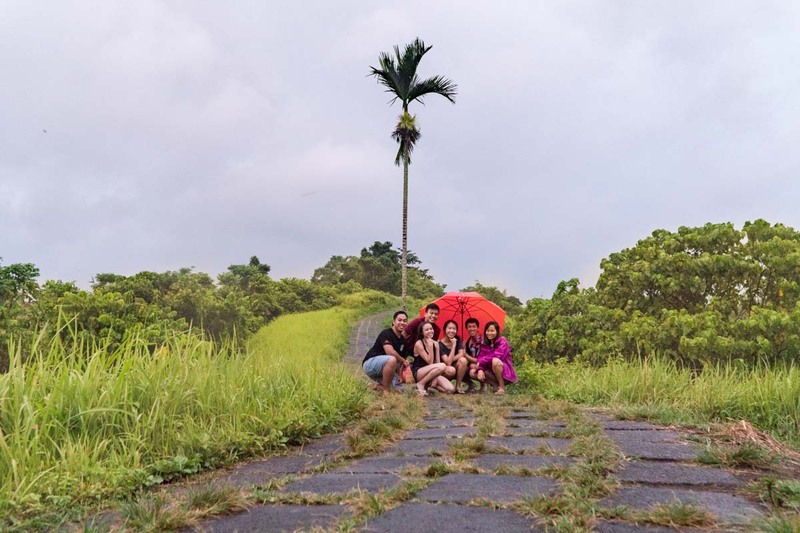 For an additional 100,000Rp (~S$10), 150,000Rp (~S$15) or 200,000Rp (~S$20), get the chance to hop on 1 of the 3 swings for an unparalleled viewing experience of the fields from a different angle. 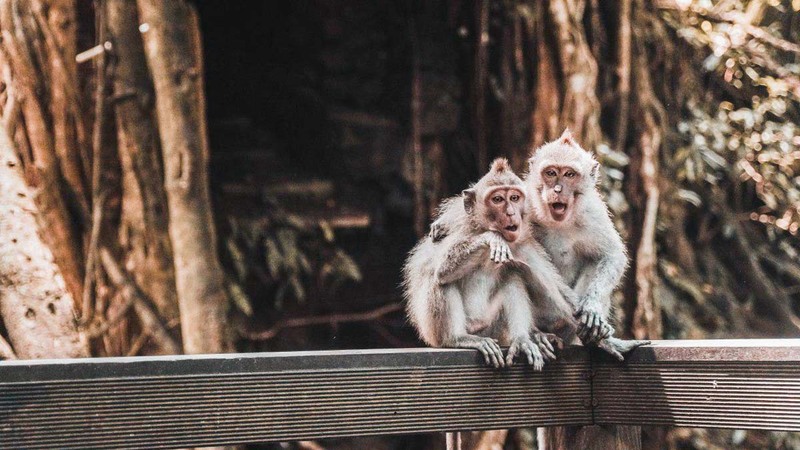 A nature reserve that’s also a Hindu temple complex housing over 700 playful monkeys, this forest is only a short drive away from Central Ubud. Get pally with the resident monkeys, and bring a few bananas to feed them if you’re feeling adventurous enough! *Pro tip: Avoid carrying any food or beverage even if it’s in your bag, otherwise the monkeys will tail you and attempt to steal them! 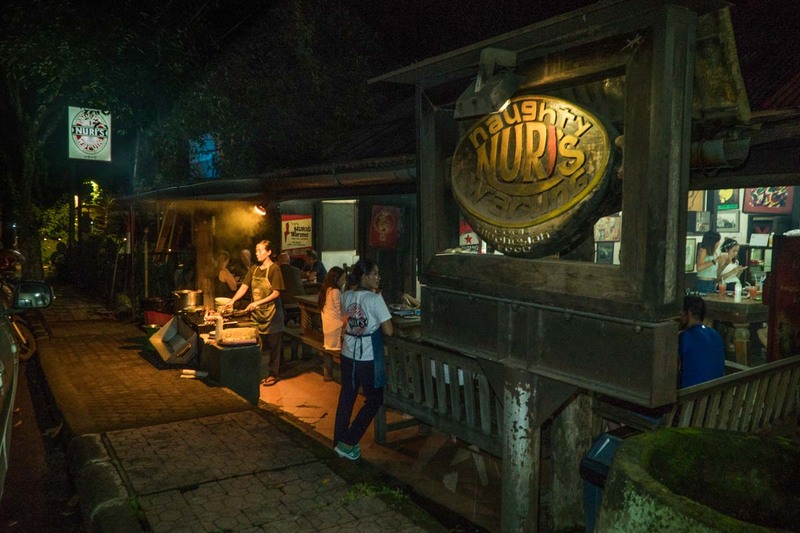 Your trip to Bali will never be complete without eating at Naughty Nuri’s. 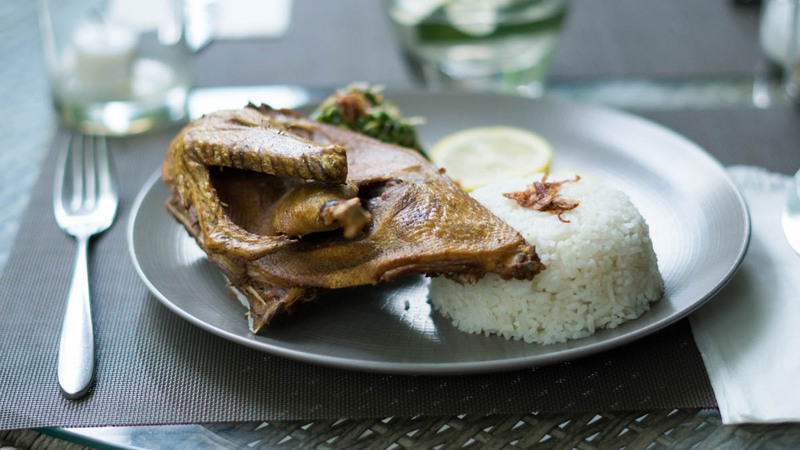 There’s no excuse especially if you’re in Ubud, where its first branch opened. The iconic sight of their signature BBQ spareribs (120,000Rp, or ~S$12) grilling right at their entrance never fails to get mouths watering, with lethal cocktails that keep you wanting more. 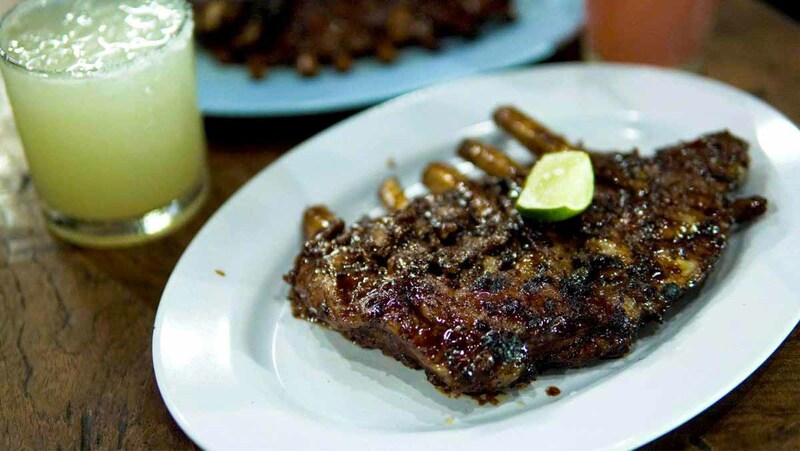 *Pro tip: Spare the “order different dishes, so we can all share” mantra, and head straight for the spareribs. The other dishes are not remotely half as good (we felt like we were chewing on a tyre with the pork chops). Look ma (or maybe not), no driving licence needed! 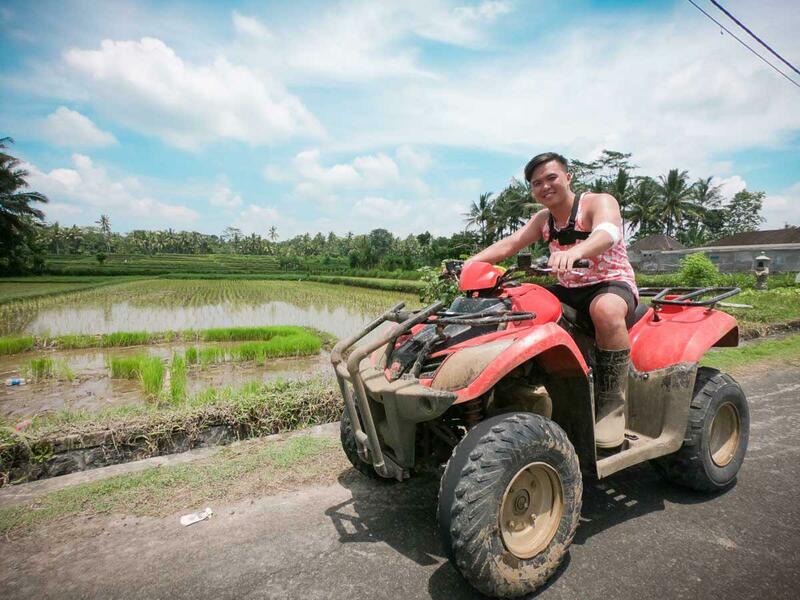 Get on the longest ATV Quad bike track to discover Bali’s rice fields, greenery and villages, riding across uneven terrains that will challenge your inner adventurer. Our package included pick-up and drop-off from our accommodation, along with a buffet for lunch. *Pro-tip: Do not wear white and bring a change of clothes. Your socks will get stained with mud, so we suggest wrapping plastic bags over your feet. Yes, you read that name correctly. A family-owned business named after the son (what else were you thinking of? 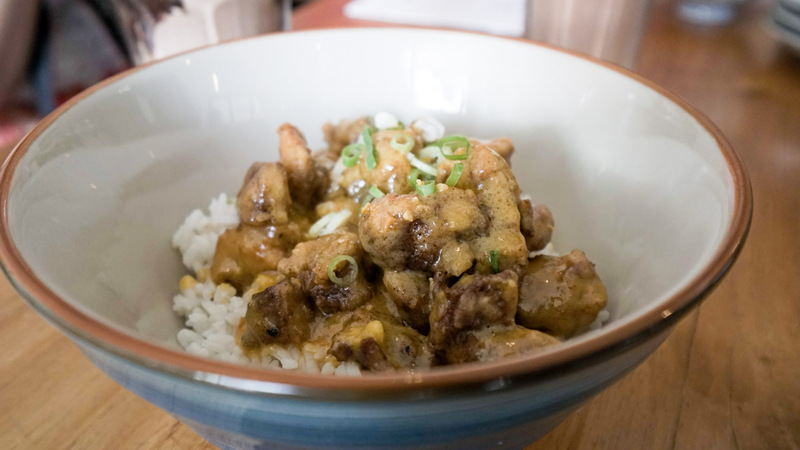 ), the fusion of Asian flavours in their Umami Bowl, a pork shoulder or chicken rice bowl drizzled with salted egg yolk sauce (55,000Rp, ~S$5.50) is a hit with Singaporean tourists. 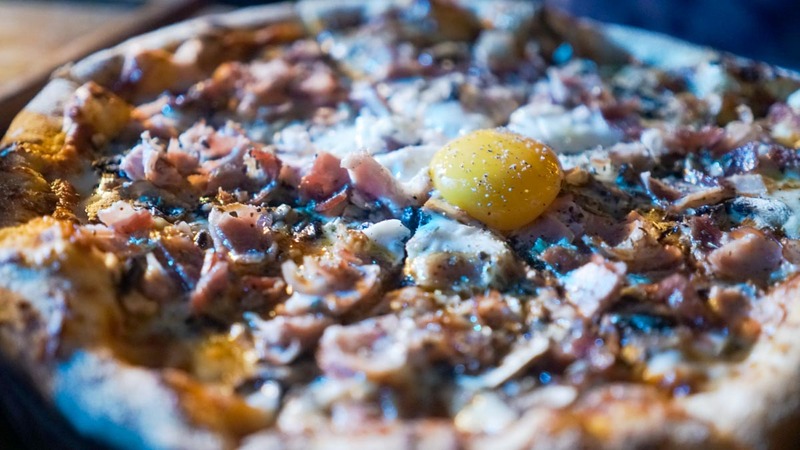 Because salted egg yolk everything, right? 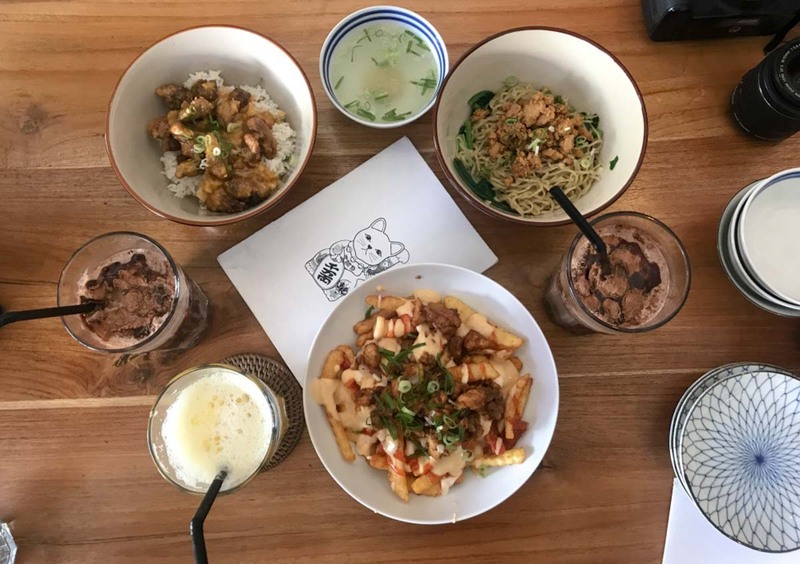 Comprising 2 lanes, Poppies Lane in Kuta houses an assortment of restaurants, cafes, hostels, bars and shops, ideal for a leisurely afternoon stroll to hunt for souvenirs and chill out. 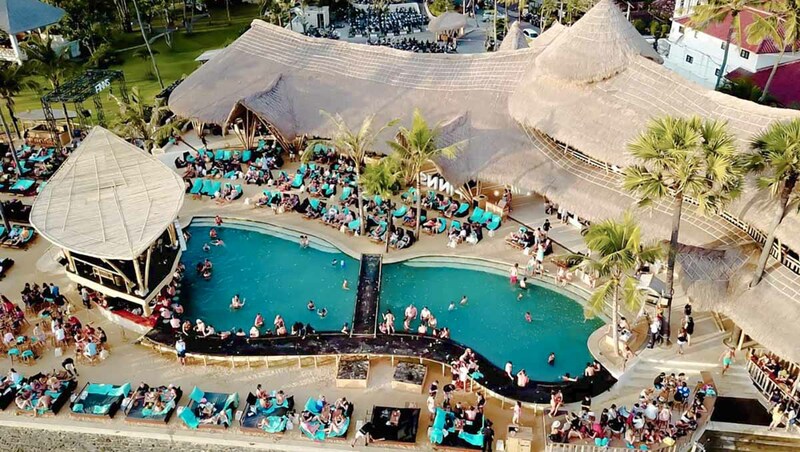 Seminyak is known for its nightlife, but rather than squeezing with the crowd in the likes of Potato Head and Ku De Ta, chill in beds on a beach, or swim in a 30m infinity edge pool that also has a swim-up bar at Finns Beach Club. 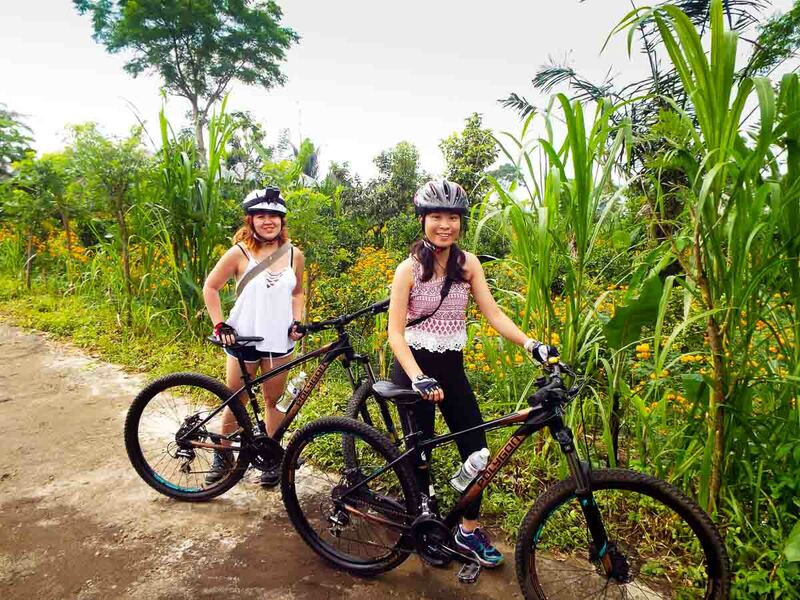 Peek into the Balinese lifestyle and cycle past 20km of highlands, forests, temples, villages and rice fields with this guided tour. Like the ATV package, we booked our cycling tour which included pick-up and drop-off from our accommodation, as well as a buffet lunch. *Pro-tip: Carry some cash with you to purchase souvenirs if you’d like! 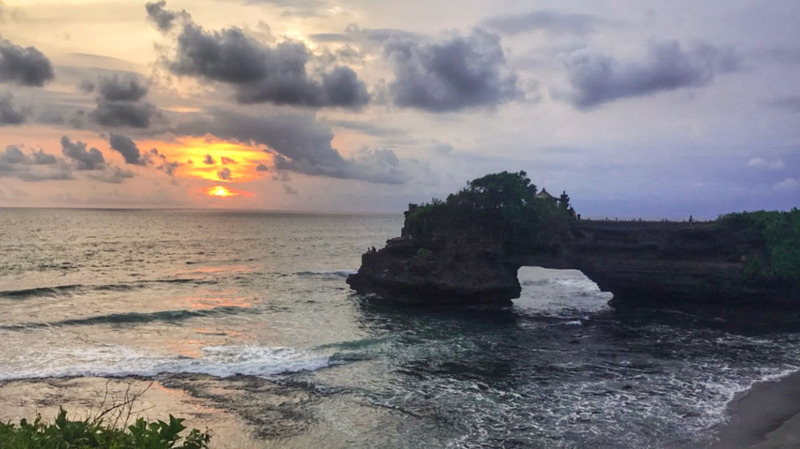 A hit with photographers, the immaculate view of this offshore temple about an hour’s ride out of Seminyak makes for the perfect sunset backdrop. A restaurant and bar that serves tapas, salads and steaks with a slew of cocktails and drinks, La Laguna makes for a great night to relax and have a fun time out with a view. From the Banana Boat and Parasailing to Flyboarding, there’s a whole wave of water sports you can partake in over the clear waters of Nusa Dua Beach! Don’t forget to pack a change of clothes and slather on some sunscreen. Depending on weather conditions, they might halt Parasailing activities, so keep an eye out on the weather forecast and be prepared for any change of events. Regardless, when all else fails, you can always retreat to the vicinity where there’s a chockful of restaurants to relax at. 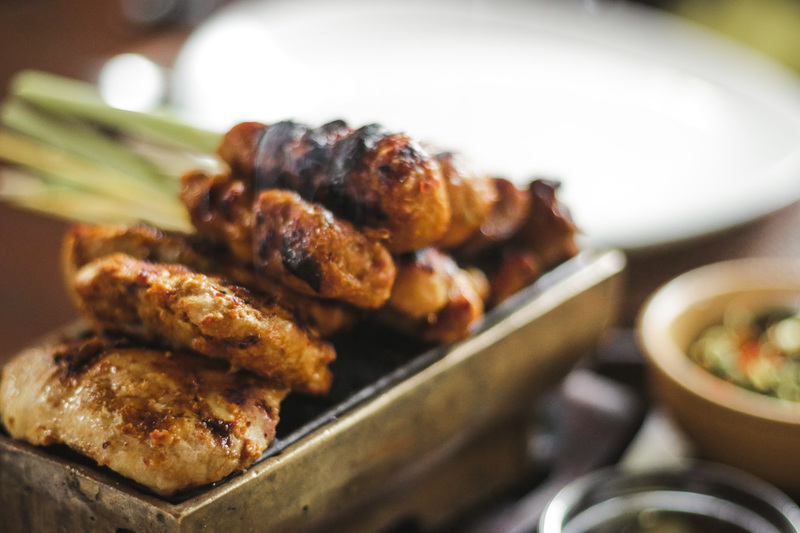 Indulge in local Balinese cuisine, like the Nasi Atau, fried rice served with a side of smokey chicken satay skewers that are piled on a miniature charcoal grill (130,000Rp, ~S$13) at Bumbu Bali, located 5 minutes away from Nusa Dua Beach. 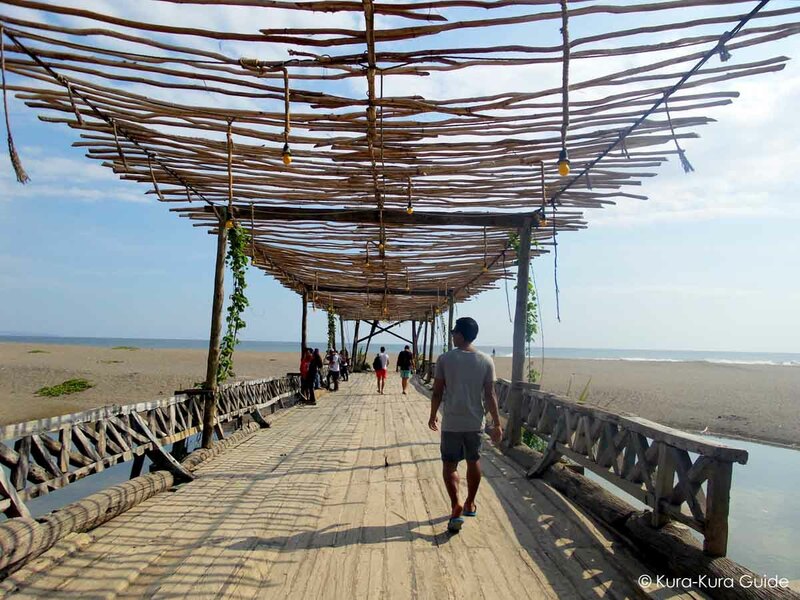 Don’t bother with the crowd at the commercialised Jimbaran Beach, and get your tan on at Suluban Beach instead. 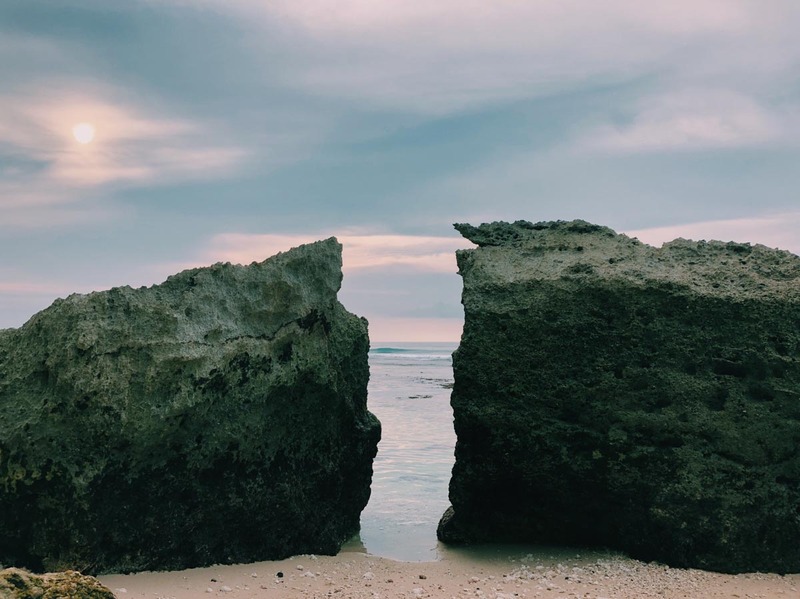 A fairly untouched beach littered with gigantic rocks, white sands and crystal clear waters, its relatively low accessibility contributes to its lack of human traffic – yay privacy! 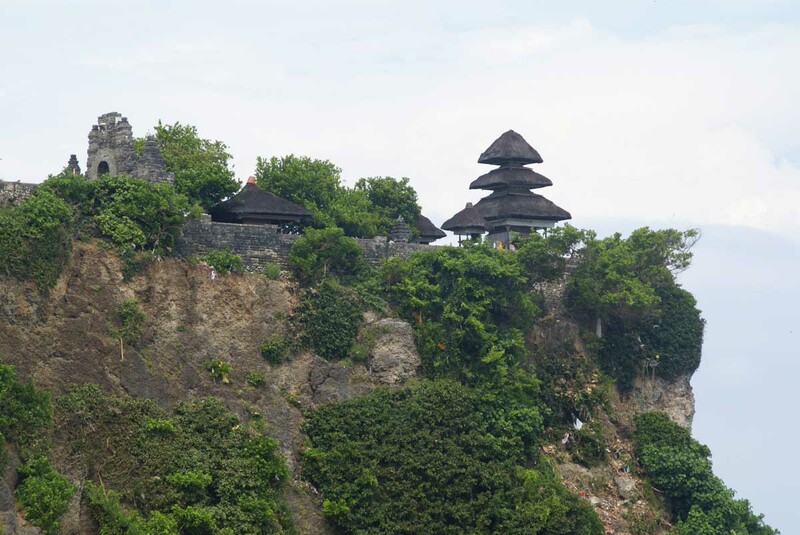 A short 5-minute drive from Suluban Beach, Pura Luhur Uluwatu is 1 of 9 temples on the island that wards evil spirits off Bali, sitting majestically on the edge of a 70m-high cliff. Inside, there are traditional Balinese Kecak dance performances that occur daily at 6PM, so come down just in time to look around and watch the dancers. 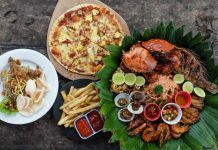 Dine with the sunset in full view at New Moon Cafe, Jimbaran Beach, to mark the end of what should probably be an extremely fulfilling trip! 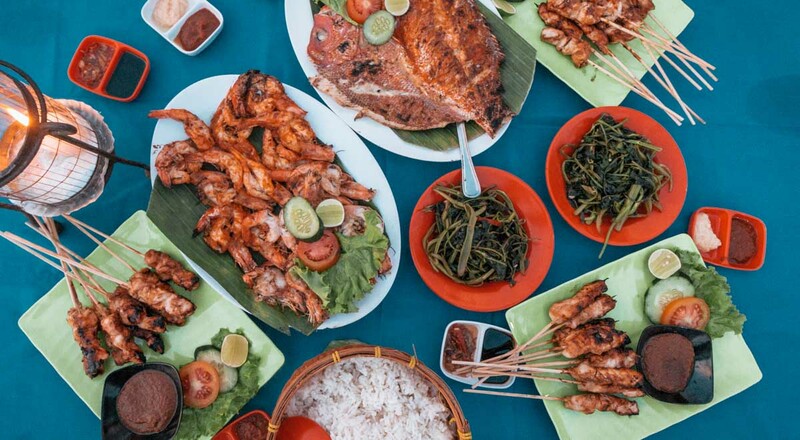 While the fresh selection of fish, prawns and fruit juices could set you back upwards of 1,000,000Rp, we think it’s a reasonable price for the experience. Price: 1,300,000Rp (~S$125) for a table of 5 pax, or S$25 per pax. 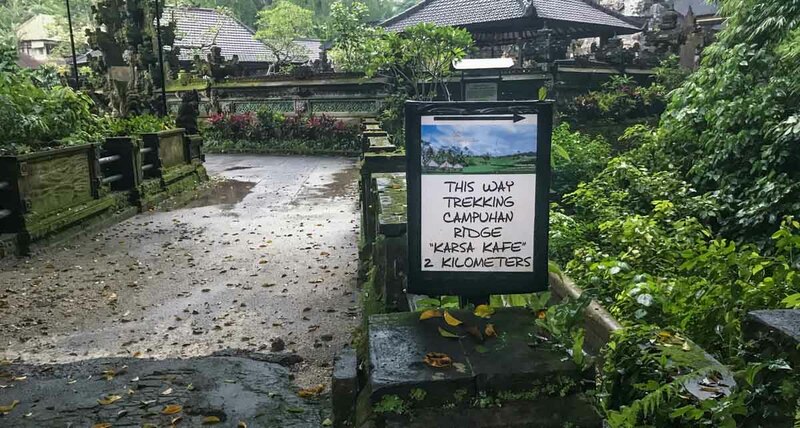 Every Singaporean visiting Bali doesn’t want to be reminded of the bustling crowds back home, so why stick to the obvious tourist picks that are bound to be teeming with people? 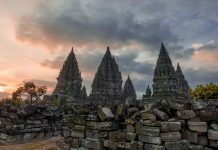 Hi, for chartered car booked via Klook for your Bali trip, is it safe to leave our luggage in the car while we leave the car to explore at our attractions? Hi Christina, based on personal experiences (incl. this trip) we’ve always done that without incident, but if you want to be extra safe you might wanna ensure everything is properly locked up and that you take your valuables along with you 🙂 Cheers!